My doulas, Mary and Megan, helping me cope with afterpains. 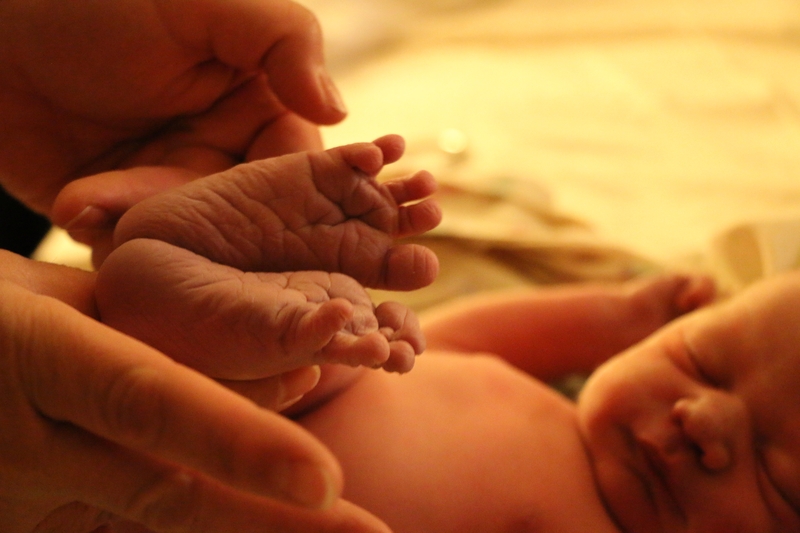 I’ll admit it: I didn’t have a doula for my first three births. With the first, I wanted one but we didn’t think we could afford it. (I didn’t know about amazing things like payment plans and trades.) With the second, we were still pretty broke and I felt my husband would be enough support since he was so great at my first birth. With the third, I was delivering at a birth center and thought my midwives would provide all the labor support I needed. After becoming a doula myself and hiring two doulas for my fourth birth, I will NEVER give birth again without a doula! Here are 5 reasons you need to hire a doula. 1. Doulas perform many tasks, leaving your partner free to focus his attention on YOU. I bragged about how wonderful my husband was during our first three births, and he really was! He was attentive to my needs, reading me hypnosis scripts, drawing baths, squeezing my hips, and allowing me to lean on him when I needed to. However, he was often leaving my side to go take care of small tasks. During those times, I would lose focus. I needed him right next to me all the time. During my last birth, once the doulas were here, my husband never had to leave my side. They fetched the washcloths so he could cool my face and neck. They massaged my back and took pictures so he could look in my eyes and tell me I was beautiful and amazing. My husband was glad they were there because he didn’t have to worry about doing so much! 2. Doulas know about birth. Your partner may be the most amazing, supportive person in the world, but chances are he doesn’t know a lot about birth. Even if you’ve taken childbirth classes, it’s hard to remember all of the information you learned when labor starts. Your doula will be there to help remind your partner of the things you learned in class, like helpful positions for labor and birth, how to facilitate good positioning of the baby, and the pros and cons of the various interventions. If something unexpected comes up in your labor, your doula can help educate you so you can make an informed decision about what to do. A doula can help guide you through the labor process so you don’t ever feel lost. 3. Doulas stay with their clients throughout labor. Okay, they may need to take a short break now and then for meals and trips to the bathroom, but your doula will be with you throughout active labor. Nurses, doctors, and even midwives will usually be attending to other patients or duties throughout your labor, so you won’t always have their help when things start to get tough. Your doula will be there to help answer questions, keep you comfortable, run errands, grab things you want or need, make sure you and your partner stay nourished and rested, and about a million other possible tasks so you can focus on your birthing. They make you feel pampered–and what woman doesn’t deserve to be pampered during labor? 4. Doulas help ease the discomfort of labor. Even if you’re planning on an epidural, labor isn’t a walk in the park. Your doula knows many different ways to help you stay comfortable throughout your labor and birth. 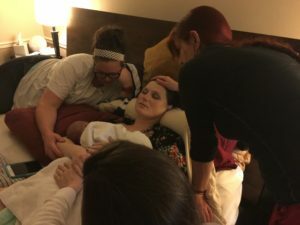 All doulas are trained in comfort techniques for labor, and many doulas have additional trainings or certifications in things like rebozo, massage, energy work, and hypnosis that can help you deepen your relaxation and better cope with labor. With all the tools and tricks doulas have to help moms stay comfortable, it’s no wonder women who use doulas are more likely to birth without the use of drugs or anesthesia. 5. Doulas give their clients a voice. Even if you feel very confident in your ability to communicate your wishes to your care providers, you will probably find it hard to speak up when you are in active labor. During birthing, the rational part of your brain shuts off and your primitive brain takes over. This makes it very difficult to hold conversations with others and try to recall information from your birth preferences. Your doula can be your voice, communicating your wishes to hospital staff and ensuring that you have plenty of time to make informed decisions should things take an unexpected turn. She is your advocate at a time when you are especially vulnerable. These are just a few of the many reasons that a doula is an absolute MUST! My doulas were absolutely amazing and helped me so much throughout my labor, and I can honestly say they were worth every penny. If you have to scrimp and save to afford a doula, DO IT! It is one of the most important investments you will make in your baby’s birth.